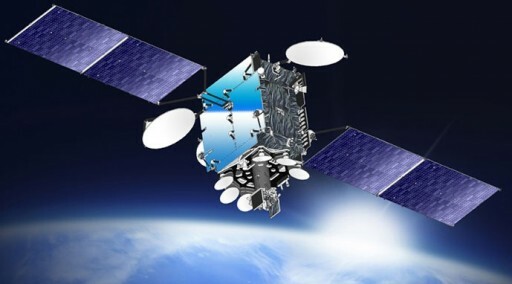 The satellite is based on the Spacebus-400B2 platform that is suited for medium-class telecommunications payloads. It is equipped with two 2-panel solar arrays that feed power to the satellite’s batteries and power systems that provide a 100-Volt power bus for the various satellite systems and payloads. The platform is three-axis stabilized and uses state of the art navigation and attitude determination equipment for Earth-pointing and stationkeeping in Geostationary Orbit. 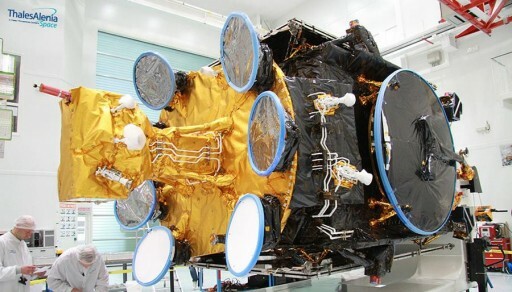 The spacecraft is equipped with a 5-Kilowatt Ka- and EHF-Band communications payload to achieve data transmission rates of up to 3 Gbps using DVB-RCS and DVB-S2 protocols. Athena-Fidus will be used to provide broadband telecommunications services for police force terminals, interconnections between sites that have local telecommunications infrastructures, telecommunication services to provide remote surveillance in critical areas, and secure communications for armed forces. Also, the satellite will be used to provide communication capabilities for emergency management in case of natural disasters or other catastrophic events.